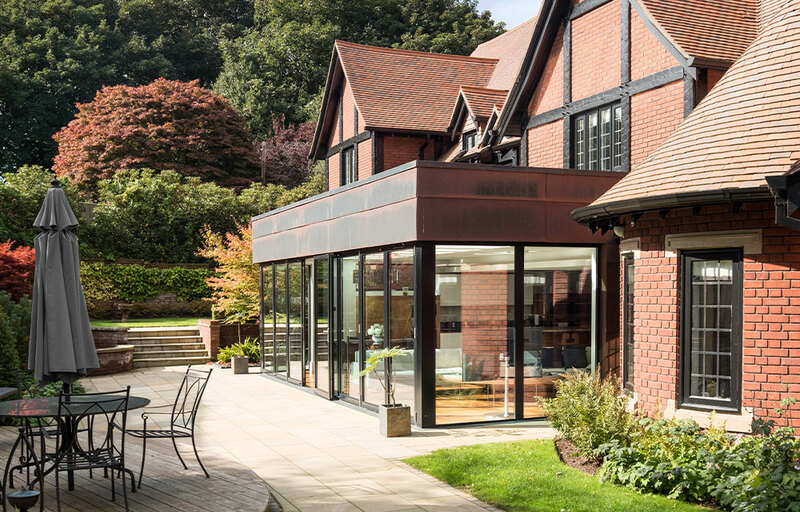 A period style detached dwelling in a half acre of land adjacent to Prestbury Golf Club and set within the Prestbury Conservation Area, our Client wanted to create a spectacular stand-alone, contemporary Leisure Suite in the grounds adjacent to their existing home and driveway. The scheme included a re-design of the existing home, with a contemporary structural glazed addition to form a new kitchen / breakfast / day room. 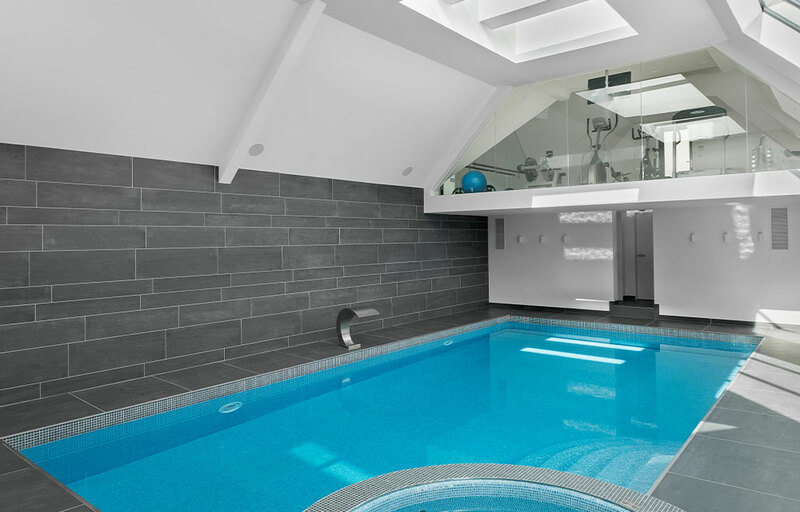 Fully re-designed interiors to all five beds / five baths, were fitted out to the highest standards. 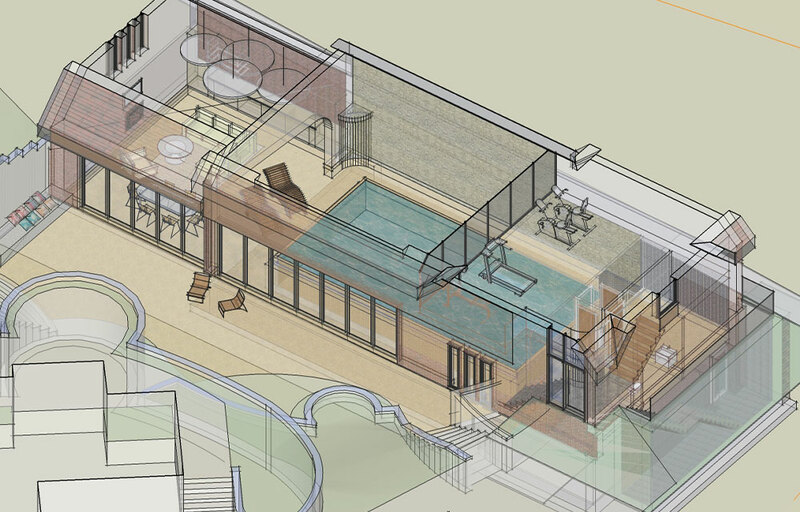 The Leisure Suite comprised a 12m pool, Jacuzzi, showers, changing rooms, open plan lounge and concealed kitchen. The design of natural and artificial lighting combines to reduce mirroring on to the water surface, which can be dangerous for swimmers. 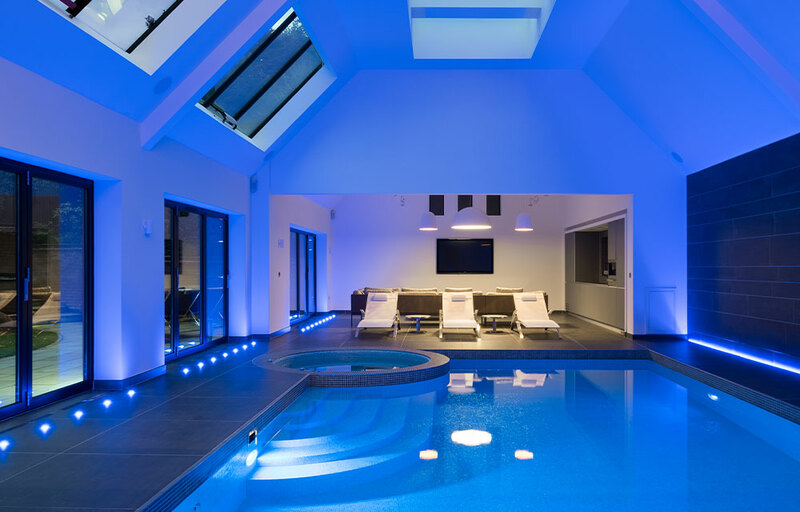 Full height glazing to the doors, rooflight windows and top lights work together to ensure the space is not overheated by the sun, whilst illuminating the pool area to help convey a feeling of fluidity and openness. There is a galleried and fully glazed gym overlooking the whole pool area. Well designed exterior lighting helps give dimension to the building. 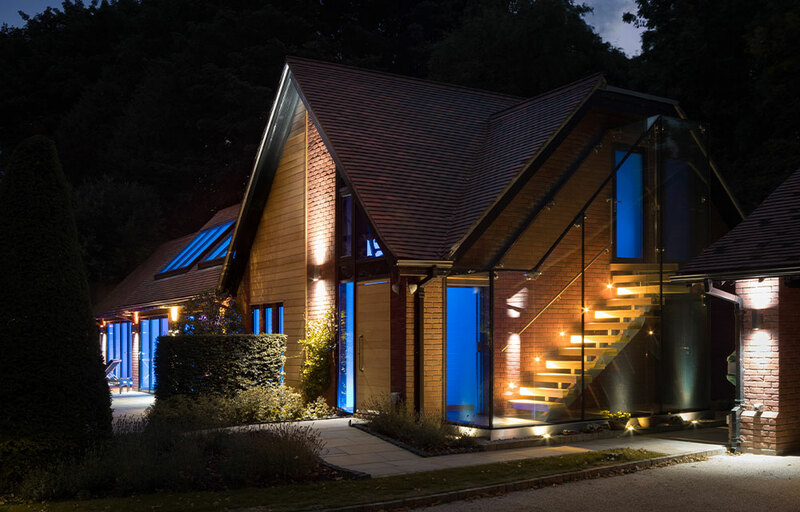 Buried uplights highlight the glass encased staircase with stunning effect, making the exterior take on a different appearance once the harsh flood of daylight has gone.